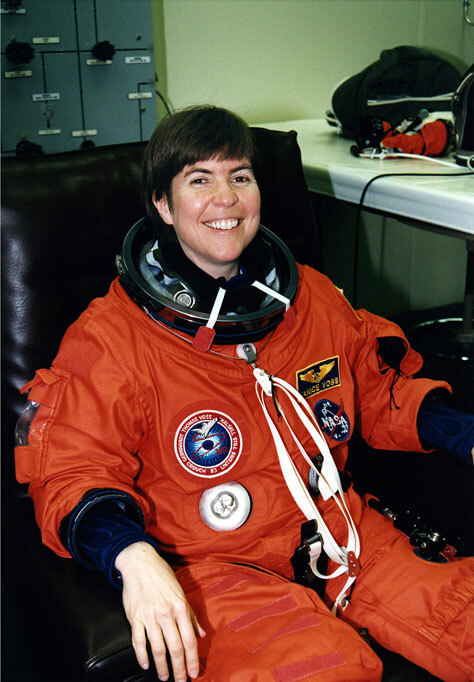 Former U.S. astronaut Joseph Allen and current astronaut Janice Voss will visit Wabash College on Thursday, February 26 as part of the Experience Indiana Speakers & Artists Series. The program starts at 7 p.m. at the Wabash College Chapel. Admission is free and the public is cordially invited to attend. To schedule an interview, contact Gina Bowman at bowmang@wabash.edu or 765-361-6339. While on campus, Allen and Voss also will give a 12 p.m. lecture in Baxter Hall, room 101 about their career paths and what led them to NASA. The National Aeronautics and Space Administration (NASA) is an agency of the United States government, responsible for the nation's public space program. NASA was established on July 29, 1958, by the National Aeronautics and Space Act. In addition to the space program, it is also responsible for long-term civilian and military aerospace research. Since February, 2006, NASA's self-described mission statement is to "pioneer the future in space exploration, scientific discovery, and aeronautics research." Allen was born in Crawfordsville, Ind., June 27, 1937. He received a Bachelor of Arts degree in math-physics from DePauw University in 1959, and a Master of Science degree and a Doctor of Philosophy degree in physics from Yale University in 1961 and 1965, respectively. Allen was selected as a scientist-astronaut in August 1967. After serving in various technical and managerial assignments within NASA, Allen was assigned to his first spaceflight in 1982. He served as a mission specialist on STS-5 (1982) and STS-51A (1984). He has logged a total of 314 hours in space. Voss was born October 8, 1956 in South Bend, Ind. She received a Bachelor of Science degree in engineering science from Purdue University in 1975 and a Master of Science degree in electrical engineering and a Doctorate degree in Aeronautics/Astronautics from the Massachusetts Institute of Technology in 1977 and 1987, respectively. Voss is a veteran of five spaceflights. She has logged over 49 days in space, traveling 19 million miles in 780 Earth orbits. 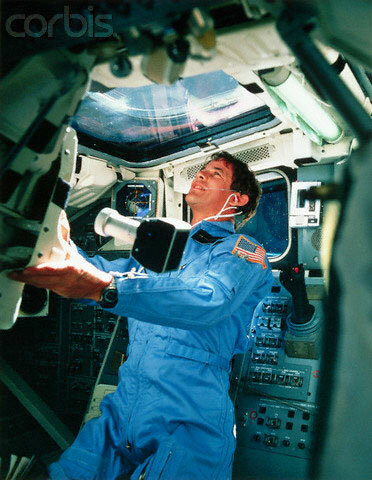 Voss served aboard STS-57 (1993), STS-63 (1995), STS-83 and STS-94 (1997) and STS-99 (2000). The Experience Indiana program is a portion of the Quality of Life in Indiana grant, funded through a $1 million grant from Lilly Endowment Inc. The Experience Indiana Speakers and Artists Series sponsors speakers and artists who represent Indiana culture and history.